GM Canopies are very pleased to be the preferred choice of Creagh Concrete to provide two new Vitabri ‘Pro’ 3.00m x 3.00m marketing canopies. 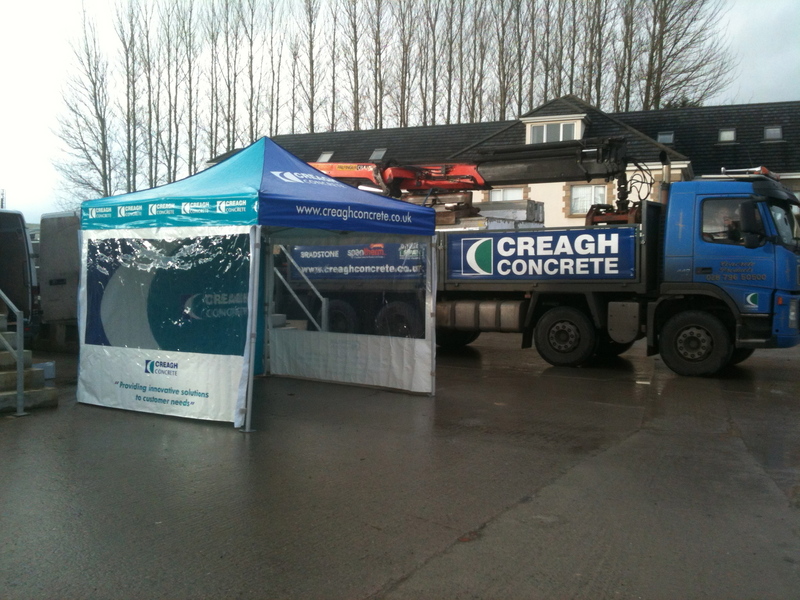 These canopies will be the focal point for the Marketing team at Creagh Concrete at Exhibitions in the UK and Ireland. Creagh Concrete is a major manufacturer of concrete products and modular buildings their headquarters is based in Toome Co Antrim and have manufacturing and distribution plants throughout the UK. 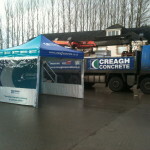 Creagh Concrete is a major employer and we wish their ‘marketing team’ every success at their ‘exhibitions’ during 2016.